What is going on with the Democratic Party? In Virginia, the entire governing leadership has been engulfed in scandal. In less than a week, admissions of wearing blackface from state Attorney General Mark Herring and Gov. Ralph Northam, along with Lt. Gov. Justin Fairfax being slapped with a sexual assault allegation, has brought Virginia Democrats to their knees. They’re dealing with a total dumpster fire. On top of that, Fairfax has accused the Northam camp of leaking the sexual assault allegation to the press to prevent him from taking over should the governor resign. The Washington Post has known about the allegation against Fairfax for quite some time but didn’t go with it because all because they couldn’t corroborate the story. 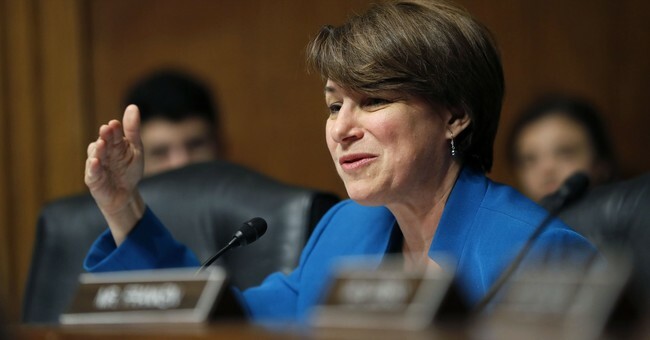 At least three people have withdrawn from consideration to lead Sen. Amy Klobuchar’s (D-Minn.) nascent 2020 presidential campaign — and done so in part because of Klobuchar’s history of mistreating her staff, HuffPost has learned. What is indisputable, however, is that Klobuchar’s office consistently has one of the highest rates of staff turnover in the Senate. From 2001 to 2016, she ranked No. 1 in the Senate for staff turnover as measured by LegiStorm, a widely used database of congressional staff salaries. She’s now third, behind Maryland Democrat Chris Van Hollen and Louisiana Republican John Kennedy. So, Amy is a mean girl…allegedly. And yes, there have been stories about prominent liberal male bosses having crappy operations where the abuse was allegedly systemic. Look no further than Sen. Bernie Sanders (I-VT) 2016 campaign, which was reportedly a den of sexism and sexual harassment. Why didn’t the senator address these issues sooner? Well, he was busy running for president. He couldn’t be bothered.